Matt’s expertise lies in the application of activated sludge processes, anaerobic digestion and applying novel technologies that address challenges posed by our clients. Working with the team and our specialised laboratory Aqua Enviro develop solutions for even the most complex wastewater or AD problems. 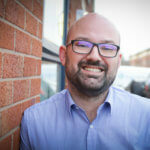 Matt has more than 15 years of practical experience in the water, waste and industrial sectors. 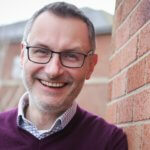 He has led on many WRAP, Zero Waste Scotland, UK Water Company and UKWIR contracts. As Technical Director for Aqua Enviro, Matt plays a key role in the strategic development of the business, overseeing investment programmes to grow new services, research and development, staff knowledge and skills. He is an experienced trainer, trouble-shooter, project manager, expert witness and solutions provider. 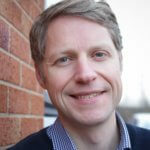 Matt is also a member of the CIWEM Wastewater Management panel. Sarah has worked at Aqua Enviro since 2000 developing new conferences and training courses designed specifically for those working in wastewater, waste and related sectors. Annual events include the European Biosolids & Organic Resources Conference & Exhibition and the European Wastewater Management Conference & Exhibition, both regularly attended by more than 200 delegates. Sarah co-ordinates Aqua Enviro’s bespoke training courses delivered either on your site, in our dedicated training suite or through webinars. Sarah and her team work closely with Nigel and the technical staff at Aqua Enviro to create events that address the practical challenges that arise on site and on emerging industry issues. Sarah is always looking to expand our conference and training capabilities into new markets and overseas. She is good person to contact if you have any new ideas to suggest or queries about the Aqua Enviro events. 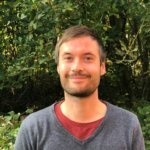 David is an environmental scientist with a background in digestate and compost market development, food safety, soil science and horticulture – with a particular focus on stakeholder engagement and quality assurance. David’s portfolio includes Aqua Enviro’s dedicated Events’ team, alongside broader aspects of knowledge exchange and innovation; ensuring that technical information on wastewater and bioresource management is shared effectively. David continues to contribute to Aqua Enviro’s technical projects on bioresources and anaerobic digestion, and is constantly on the look-out for promising technologies that Aqua Enviro can help to bring to market in the UK. Rowland is a Chartered Scientist and Member of CIWEM. 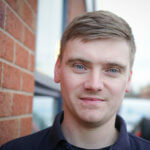 He leads the commissioning and site services teams within Aqua Enviro. His team has the expert capability to deliver high quality projects from concept and appraisal to design, commissioning and handover to end client. Evaluation of the potential for microwave hydrolysis technology to enhance anaerobic digestion performance and derive new feedstock materials (Innovate UK). ECOPHARMA – To comply with EU legislation Aqua Enviro developed a remote integrated sampling process to monitor the fate of emerging compounds in the aquatic environment. Paul is a CIWEM Chartered Scientist and Chartered Environmentalist and his combination of scientific knowledge, experience and in-depth understanding of environmental issues helps clients’ to achieve solutions to the most intricate problems. 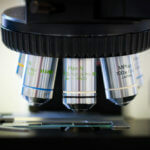 He is a regular speaker at conferences on our new research projects and gives Aqua Enviro’s training on Microscopy. Martin is a Chartered Chemical Engineer and Chartered Water Engineer with 28 years experienced in the design, construction and, commissioning of wastewater and sewage sludge treatment works. He has experience of all aspects of the water engineering life cycle, having worked for operating companies, contractors and consultants, both in the UK and overseas. As well as the full range of process responsibilities, from feasibility studies and conceptual design, to detailed design and commissioning, Martin has also been involved in the research and development of new methods of odour control and digester enhancement. He is a process auditor and has acted as expert witness with over 35 academic papers published. At Aqua Enviro, Martin is responsible for development of the business involving flow and load surveys, process commissioning staffing, process design, feasibility studies and modelling, R&D including design, build, operation of pilot and full scale demonstration plants. Frances joined the events team still in the days of licking stamps and posting out event details in 2003. She runs the Events Development Group that uses Aqua Enviro’s wealth of industry experience to create a conference and training programme that addresses the rapidly changing environment of the waste water and waste sectors. Frances has managed events on behalf of several large clients including the Chartered Institution of Water and Environment Management (CIWEM), the Constructed Wetland Association (CWA) and the Society of Chemical Industry (SCI). The events team have a proven track record for delivering successful bespoke events and are happy to work flexibly to provide an event management service tailored to suit the client. She has also overseen the recent company re-brand and new website. With Sarah and the rest of the team Frances is a good point of contact if you are interested in sponsoring or exhibiting at an event or have a query about bespoke training. Feasibility study and process design for an effluent treatment plant at Lucite International, Stockton. Piloting and process design for the incorporation of a UASB process at Novartis effluent treatment plant, Grimsby. Treatability of high strength sodium nitrate effluents, and the development of process design for a novel biological denitrification effluent treatment plant. He has also gained substantial experience in aerobic and anaerobic wastewater treatment technologies, having managed several laboratory and piloting studies, site optimisation and troubleshooting studies and more recently project managed the commissioning of a large-scale anaerobic digestion and sludge processing facility at Riverside STW, Rainham. Working with technical experts at Aqua Enviro, Dean has developed a refined lithium tracer method for the quantification of mixing efficiencies and active zones in anaerobic digesters. This has been successfully applied to several anaerobic digesters, activated sludge plants and anoxic selector zones. 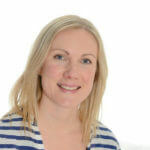 Kate is Operations’ Manager and has worked for Aqua Enviro since 2005; she has a wealth of experience in wastewater, aerobic and anaerobic treatment. 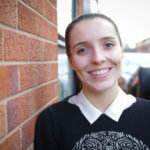 Kate is currently project managing numerous sampling and flow and load contracts for large water companies. For example, Aqua Enviro has a 5-year framework contract for wastewater sites throughout the Severn Trent region, this includes all non-infrastructure sampling on wastewater sites; Kate oversees the project from the initial contact, organising resources on site through to issuing results to the client. She is in constant communication with the clients to ensure their expectations are exceeded and manages the data collection, analysis and interpretation for R&D projects. 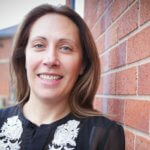 Kate has a wealth of practical experience on site and has undertaken numerous pilot plant trials on industrial sites. In addition, she has an extensive array of laboratory skills and is experienced in testing a variety of determinants for physical, biological and chemical analysis. She has run AD reactors in the laboratory and can examine samples for microscopic analysis, identifying bacteria and filamentous species which could cause bulking and foaming on site. 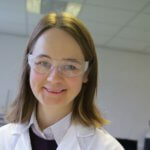 Emma specializes in activated sludge, laboratory projects, on-site consultancy and troubleshooting. Emma is knowledgeable about the activated sludge process, in particular microscopy in both municipal and industrial treatment plants including; paper and board, food and chemical sectors. This includes, troubleshooting, headroom assessments, process reviews and optimisation. Emma presents the practical aspect of the microscopy training course. She has a strong background in the laboratory and this coupled with an understanding of on-site processes and pressures ensures that laboratory projects are tailored to meet clients’ requirements. This includes interpreting the outcomes of treatability trials and relating them to full scale operation to meet the dynamic regulatory landscape. Projects being worked in at the moment include: data acquisition for design of UV plants to meet bathing water and shellfish directive requirements during AMP6; and process optimisation and consultancy work for paper mills as they work towards meeting their obligations under the BREF 2014 document for the sector. Maryam obtained her PhD in the field of Anaerobic Digestion from the Swedish Centre for Resource Recovery (Sweden). Her main focus was the use of novel feedstock and pre-treatment techniques for AD process. 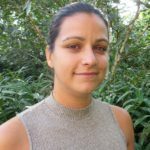 Prior to joining Aqua Enviro she gained hands on experience working on full scale food based AD plant based in South Milford, UK. Her main roles were to provide operational support and feedstock optimization for internal and external AD plants. 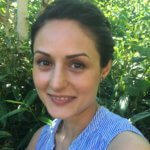 Maryam’s expertise is in the provision of operational support, process control and feedstock optimization for food waste and farm fed AD plants. Currently Maryam is giving process support and optimization to food waste AD Plants owned by Kelda Water based in Edinburgh and Cardiff. Susan joined Aqua Enviro in 2013 and manages projects from pilot plant studies and design to problem solving for industrial effluent treatment plants. She also oversees flow and load studies and headroom assessment studies for sewage works. With an MSc in Water and Wastewater Engineering, Susan has substantial experience in process design of water and wastewater treatment and extensive knowledge of sludge treatment, seeing a major UK advanced digestion project through from design to commissioning. Water treatment process design and commissioning for the @one alliance and Scottish Water. Phosphorus removal process design for both Scottish Water and Kelda Water.